The life path of a Salmon is one of creativity and enthusiasm! This Native American Zodiac Sign wants whatever they touch to shine and inspire! Some Native American, Shamanic, & Medicine Wheel Astrologers use Sturgeon for this totem. If your birthday falls between July 22 and August 22 in the Northern Hemisphere or January 20 – February 18 in the Southern Hemisphere you are swimming under the Native American Zodiac Sign of the Salmon. In Western Astrology that makes you a Leo or an Aquarius, respectively. If you’ve heard the phrase “swimming upstream” then you already have an idea of how Salmon spirit works – they want to control things even if it means changing natural directions. This desire is driven by passion and courage – so don’t expect these waters to flow easily. Unfortunately this sometimes leads to dogma and stringent black and white lines of their own making. This is one of Salmon’s most difficult lessons – how to feel and remain in harmony with nature’s rhythms rather than fight against the tide. In group settings Salmon will often lead the pack with zest and gusto that’s contagious. When others might back away from the challenge, they tie courage around their fins and keep on going. Salmon people usually live by example. This is not a wholly selfless approach to life, however. There may be an underlying need for external accolades so that those secret self-doubts, buried deep in sub-conscious waters stay out of daily thoughts. Nature shows us that the Native American Zodiac Sign of Salmon has a drive to reproduce. Until they do, their spirit will never find peace. Note that this desire need not manifest in physical children. It can be anything from artful masterpieces to the next great novel. No matter what, Salmon is not deterred by what appear to be impossible odds. Navigation flows through Salmon’s blood. Down to their, well, toes Salmon always feel like they know where to go – at least one place of which is a pilgrimage back to the place Salmon considers “home”. Throughout this adventure Salmon seeks the approval of those in their Circle and may be considered a bit of a drama King or Queen. Once people understand that this isn’t really ego, but rather part of Salmon’s transformative process toward self-actualization, misconceptions will disappear. Salmon definitely enjoys the good life and they enjoy sharing that richness with others! The Native Americans see Salmon as a symbol of wealth and providence. So much is the case that fish bones are traditionally returned to the waters so they can experience rebirth. If your partner is a Salmon get used to the idea of a place for everything – organization is this fish’s passion. Also, prepare yourself to shower your Salmon with suitable praise for their efforts or they might swim away feeling unappreciated. The season of the Salmon is one of growth, maturity and abundance. It is ruled by the South wind, the cardinal direction of South-Southwest, and the Fire element. This seems contrary to Salmon’s watery home, but the energy level of the Salmon certainly shines with fire-like intensity (careful, don’t burn out!). 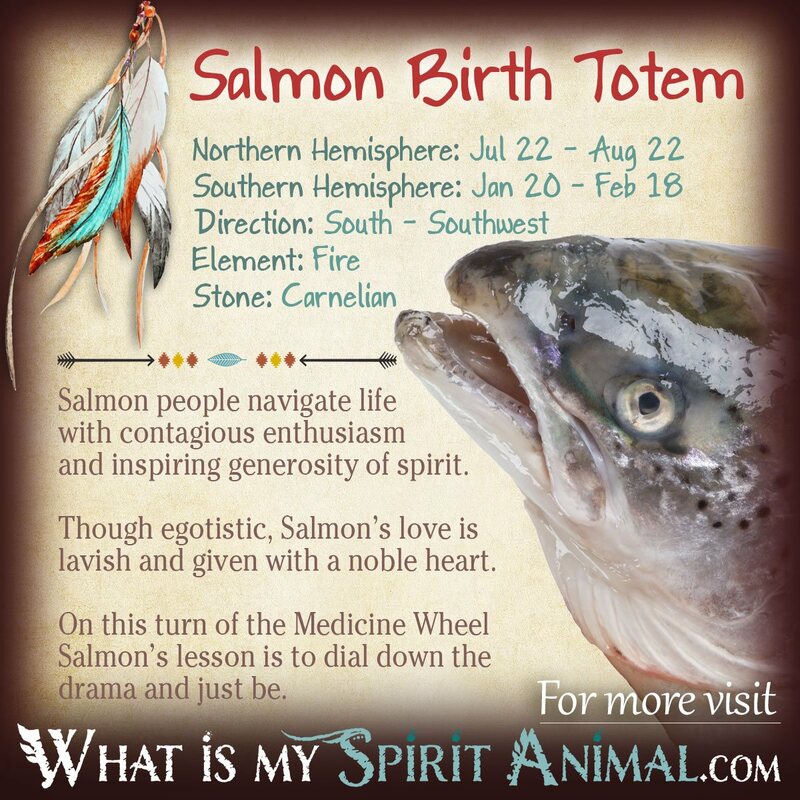 The summer season for belongs to those with the Salmon birth totem. It can rejuvenate their spirit like little else can if they spend summers embracing all of nature’s treasures and use them with respectfulness. The Fire in this sign supports the exuberance of the Salmon and their bravery. This, combined with the Southern energies, makes Salmon a very passionate Native American Zodiac sign. Carnelian, a fire stone, is also associated with Salmon and provides great confidence and willpower while Salmon’s plant – Raspberry Cane keeps the Salmon’s aura cleansed and filled with joy! In relationships, Salmon likes to be the leader of the school. Salmon is rather idealistic about relationships and enjoys being romanced (surprise gifts are welcome!). In bed, Salmon partners are very sexual and seductive and even bring a bit of drama to foreplay. Overall Salmon craves a loyal relationship with a lot of fire to keep things interesting. Salmon do well when they can really connect with their job on an emotional level. Salmon thrive in environments where they can express their enthusiasm and apply those awesome organizational skills. 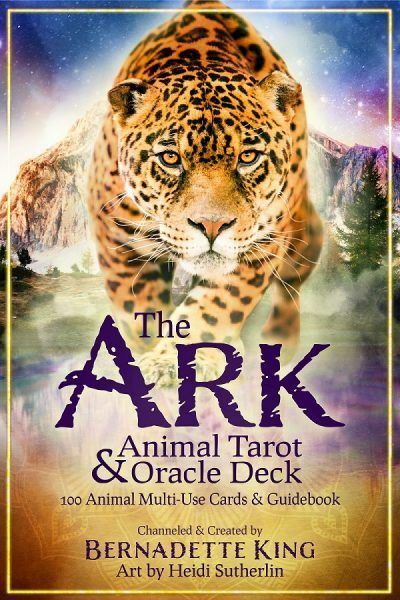 As a result, management – particularly in heart felt companies like health care or charity organizations can be a great choice for this birth totem! These types of positions also provide an income that feeds Salmon’s love of sparkly finery and gives them a chance to thrive in the spotlight. Why do honey bees always r around me. They dont bite. They just buzz around. Take a look at my Bee Symbolism & Meaning article. Hopefully, you can find the answers you’re looking for. If you would kindly direct me to where you read or heard about these types of Spirit Animals? I’ve never heard those terms before. A ‘compatible’ zodiac sign is the sign or signs you are most likely to have a sustainable soul connection with. This can be as friends, family, soulmates, lovers, partners (including business partners), etc. Usually, compatibility is attributed to similar traits and characteristics (and ruling element) within the sign. .
A ‘complimentary’ zodiac sign is the sign or signs which seems like our complete opposite in every way yet we can’t help but be attracted to one another – the classic ‘opposites attract’. In some instances, the opposition can be exactly what keeps us together and sustains the relationship because the differences balance each other out. Apparently my totem is the Salmon, and it fits. I live in a city, and this morning a bald Eagle landed in my backyard for a few moments, looked around, then flew away. Is there some biology and meaning with this? This is so to the point, am completely in awe of this stuff – can you direct me to more such revealing stuff to be able to spread amongst people? Why would crows fly in circles above someone? It happened to me 3 times over the last 3 weeks. Two times they were on a beach and as I was passing by them they started flying in circles up above me and the third time they were up in the sky and started doing circles the moment they were above me in the street. Thanks! Can these different Zodiac signs be purchased? or printed off?? I would like to give them as a gift. What form would you like to gift them in? Card, shirt, etc?